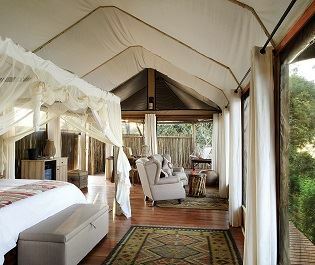 For a stylish touch of luxury, Anabezi Luxury Tented Camp is an ideal choice. 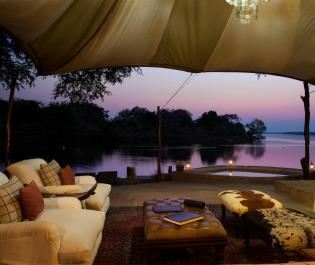 Nestled in Lower Zambezi National Park along the banks of Zambezi’s Ngwenya Channel, this luxurious camp is full of wonderful, laidback experiences and a tranquil ambience. There are 12 secluded tents, all perched on wooden raised decking and providing a light and airy space to relax. The décor would be best described as modern rustic, and we love the large sliding doors that open out onto a private terrace fit with incredible views and a plunge pool. With a spacious lounge area and either two teak double beds or one king size, there is plenty of space to chill out in between activities. 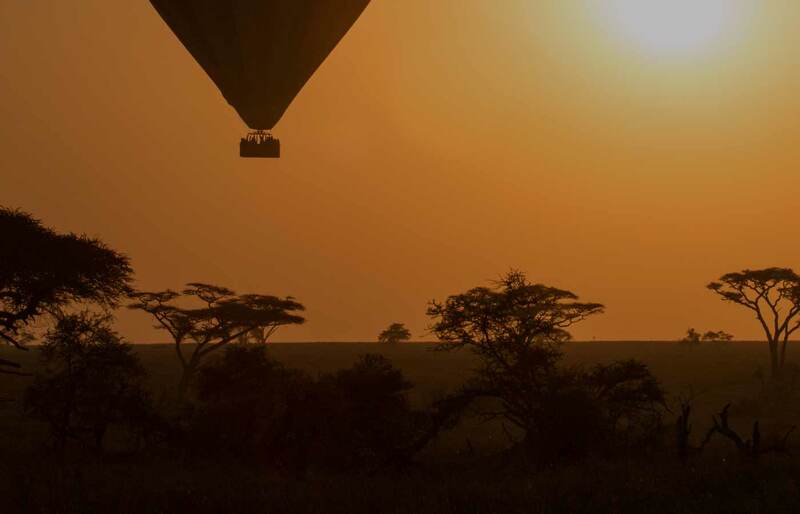 The activities here are slow paced, yet still full of the exhilaration you expect to feel on an African safari. From fresh water fishing, sunset boat trips and canoeing safaris, to exciting night drives and birdwatching trips, your day can be spent however you please. 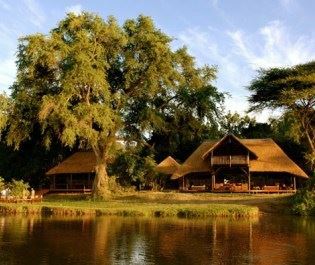 Surrounded by Ana trees, where the camp’s name derives from, the main lodge area is comforting and beautiful, with gorgeous viewing decks and a swimming pool overlooking the river. After a long day of spotting wildlife and fishing, evenings are best spent tucking in to a delicious fusion of European and African cuisine under the stars. Open all year round, children over the age of eight are welcome. A tranquil afternoon dining by the calm lower Zambezi River is the perfect way to relax in between wildlife abundant river safaris. Offering a luxurious hideaway for couples, honeymooners and families alike, we're sure everyone will fall in love with this charming riverside lodge. 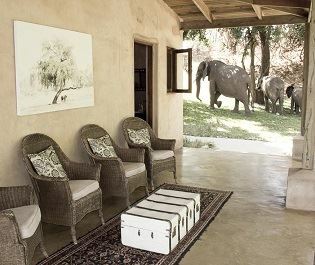 This family owned and operated luxury tented camp offers a tranquil space to relax and watch incredible wildlife roam by. 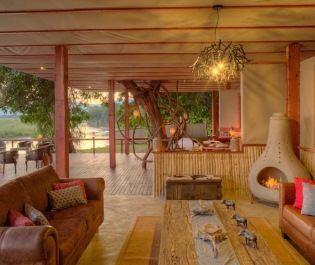 Perched on Lower Zambezi's banks, this charming and homely safari camp offers the perfect oasis for families and couples alike. 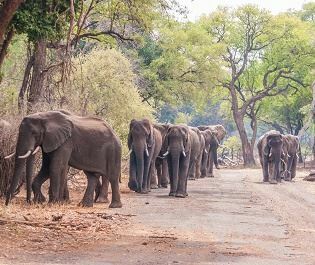 With unique reed and canvas chalets regularly visited by magnificent elephant, this lodge is perfect for enjoying a true back to bush experience. Nestled under indigenous trees, Potato Bush Camp offers a secluded oasis perfect for sociable families looking for adventure. Warm and inviting, this luxury tented lodge offers a simplistic take on the luxurious safari experience, and plenty of incredible wildlife sightings too. 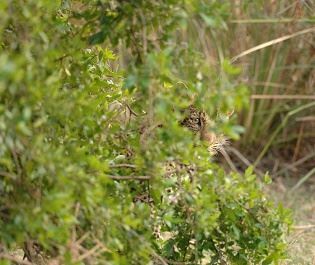 From sausage trees and date palms, to gigantic buffalo and stealthy hyena, Kafue National Park will certainly leave you in awe. 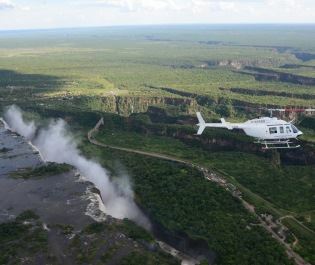 The perfect gateway to a Zambia safari, Livingstone offers a fascinating place to relax and truly soak in Africa's charm. 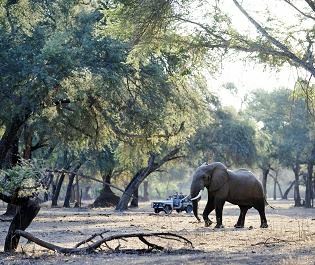 Incredible game surrounds the Luangwa River, so head here and you're bound to see amazing lion, impala and zebra whilst relaxing in your luxury lodge.